The high revenues from cross-border capacity auctions and the higher than expected earnings from system services and transit flows were the main contributors to the successful business year 2018 of TSCNET shareholder ČEPS, the Czech transmission system operator (TSO). The company’s profit of CZK3.307bn (about €129m) before tax represents an increase of 14% in comparison to 2017. The total amount of energy transmitted through the Czech high-voltage grid has risen to 65,825 GWh, with a peak load of 11.964MW in February 2018. ČEPS has also maintained its high level of investment: The TSO expended more than CZK3.8bn (about €148m) in the further development and modernisation of its transmission system. The most important ongoing investment projects include European Projects of Common Interest (PCIs) like the new 400kV double circuit line from Kočín in southern Bohemia to the Mírovka substation near Havlíčkův Brod in the Bohemian-Moravian Highlands, or the interconnections between the 420kV substations at Vernéřov (Karlovy Vary Region), Vítkov (Moravian-Silesian Region), and Přeštice (Plzeň Region). 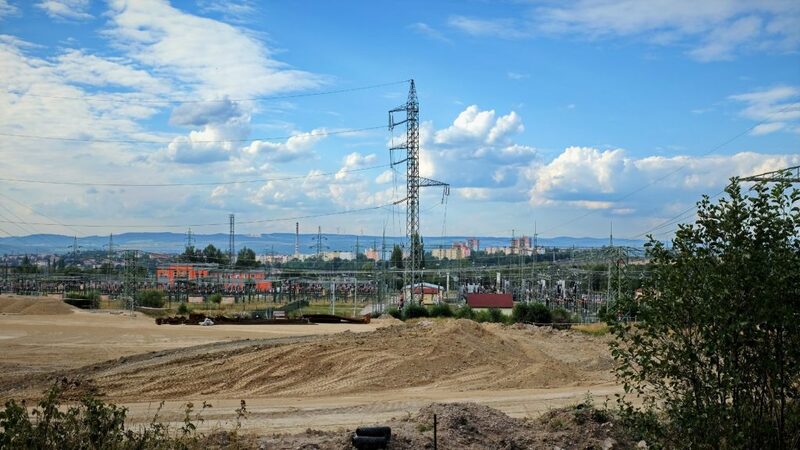 Also worth mentioning are the modernisation and expansion of the Kočín substation, which is an important node of the transmission network and due to be completed in 2023, the start of construction for the modernisation of the Horní Životice substation in the Moravian-Silesian region and finish of upgrading the gas-insulated, metal-enclosed Chodow substation in Prague. These and other projects are part of the TSO’s long-term investment programme, the implementation of which is made possible by ČEPS’s stable financial position, strict cost control and good financial performance.